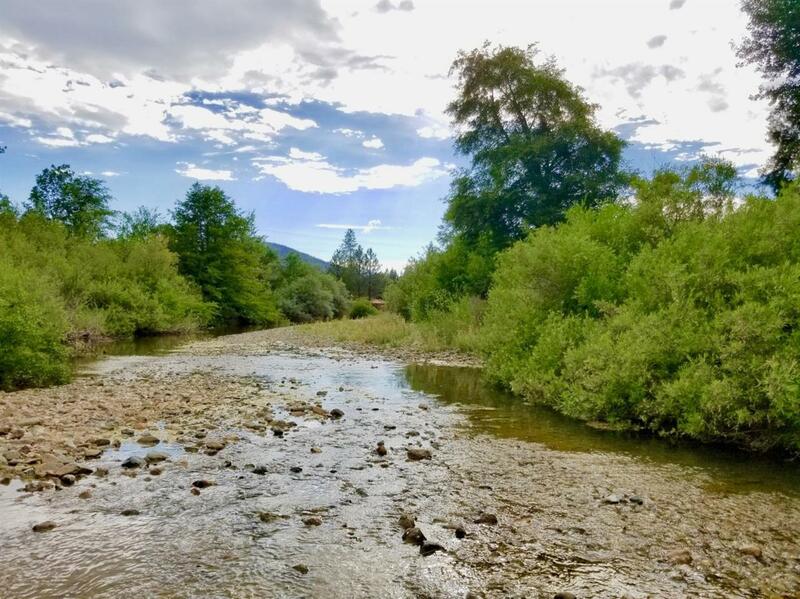 63+ acres with beautiful creek frontage, electricity and water to fenced garden on South side of creek with high quality greenhouses. 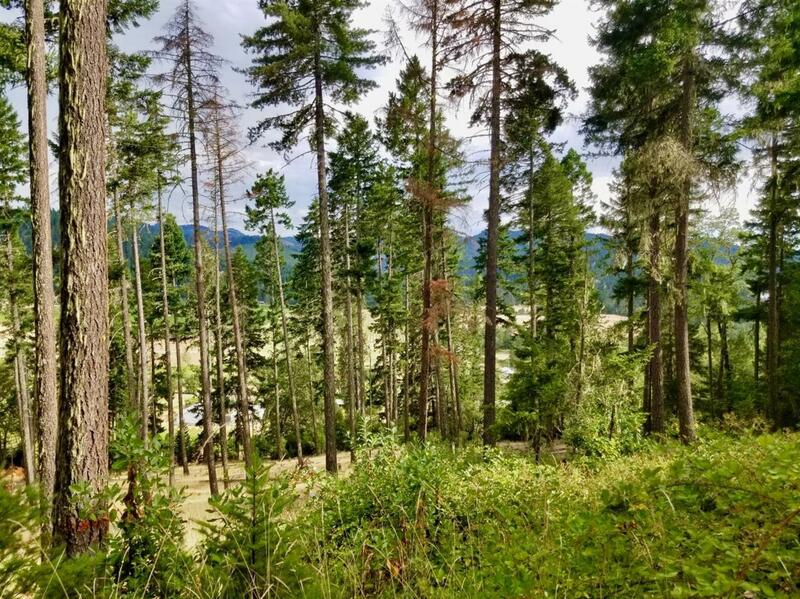 Block house, timber, and incredible view homesite on North side of property. 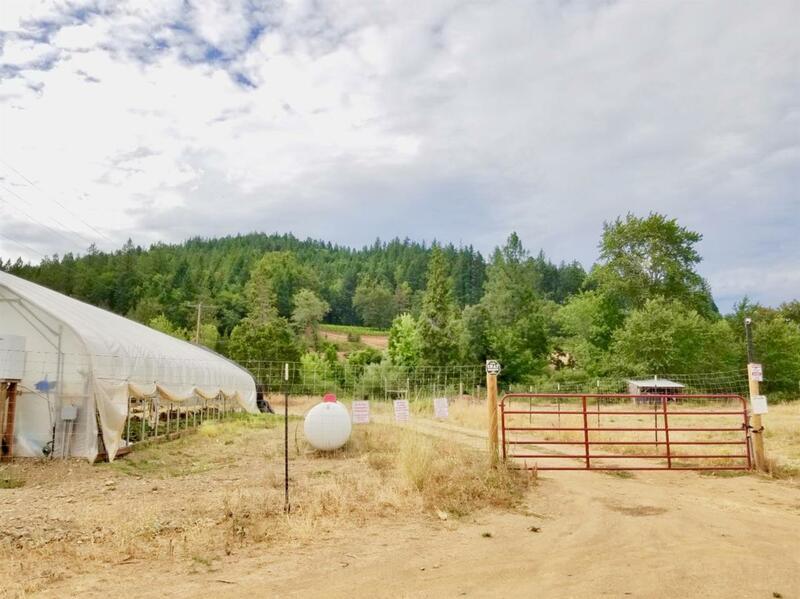 Illinois Valley is considered by many to be a premier gardening region and this property is located in the heart of it, offering the perfect mix of sun, climate and water for maximum quality, quantity and length of growing season! Also available as a separate listing with the adjoining 70+ acre vineyard property + 2 homes, shops, etc, $2.2m for both listings.